There are two racing options for speed enthusiasts in Johnston County. Southern National Motorsports Park near Kenly has a race season of April to November. 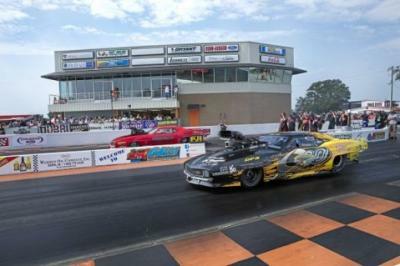 The new GALOT Motorsports Park, a one-eighth mile asphalt/concrete pad dragstrip located on Dragstrip Road in Benson, has events year-round like drag races, monster trucks shows, and tractor pulls. Area hotels offer race fans discounts for race day. Check out the GALOT deals and Southern National deals. Check our calendar of events often for race dates and times!